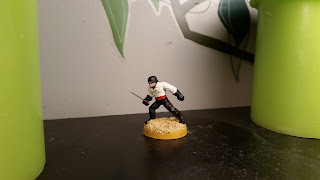 I don't have a name for this fellow. He's a Pulp Figures Zorro clone who arrived in the same envelope as Pasha Moustacha (see here). 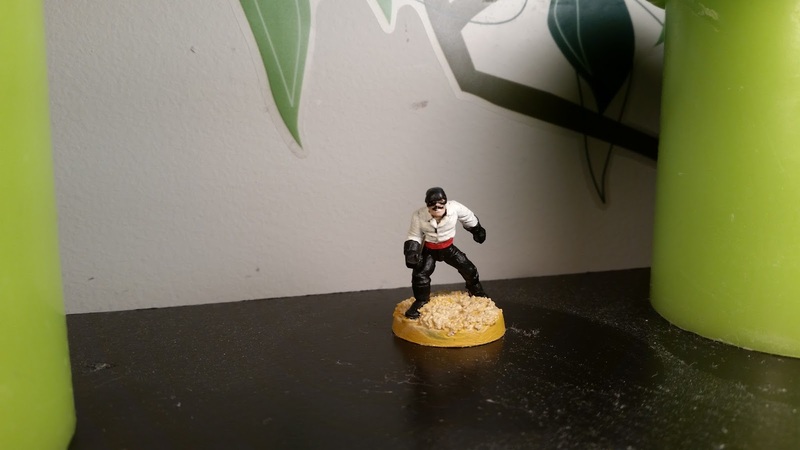 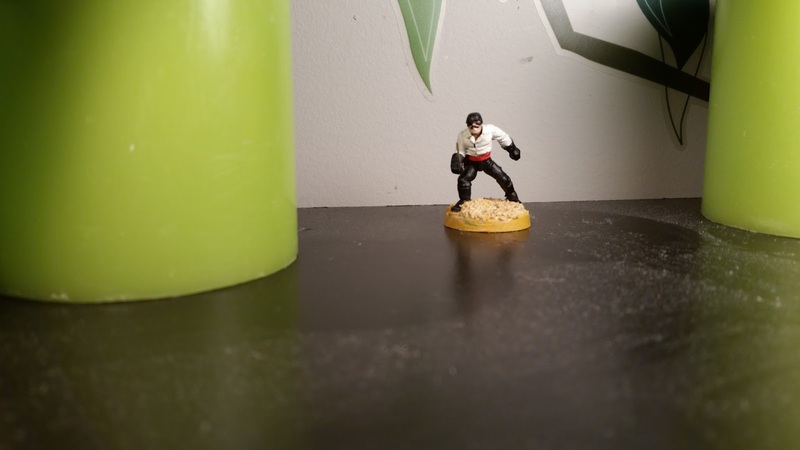 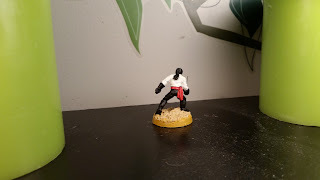 He has a white shirt because painting him all in black would have been too boring, and besides black and white are my least favourite colours to paint, so I might as well get them both on the same figure. 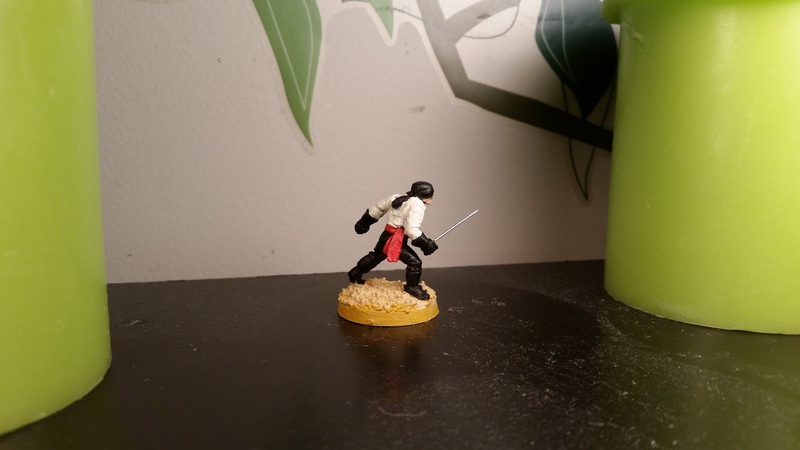 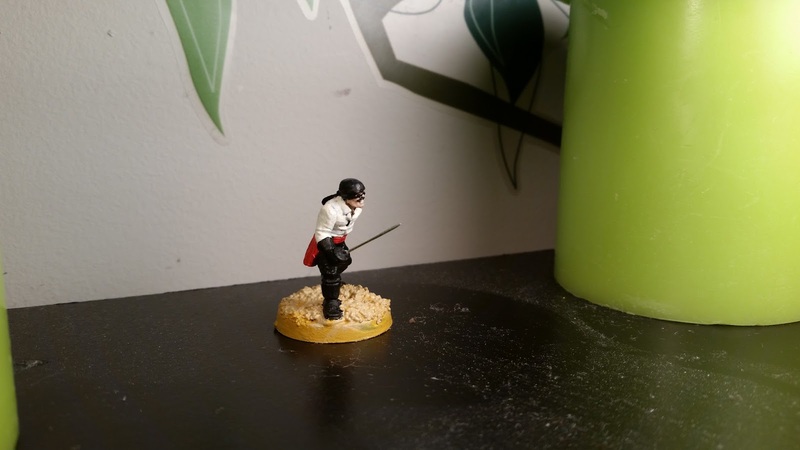 His rapier is a drawing pin nicked from my wife's sewing kit and is dangerously sharp.